A generous electric package with a complete one ton grip package built into a 2017 FORD Transit 250. With a 9000 G.V.W., a 5000lb towing capacity, and a V6 engine the truck has the ability for so much more. With the ability to carry 10’ speed rail, our easy load truck can handle all production requirements. 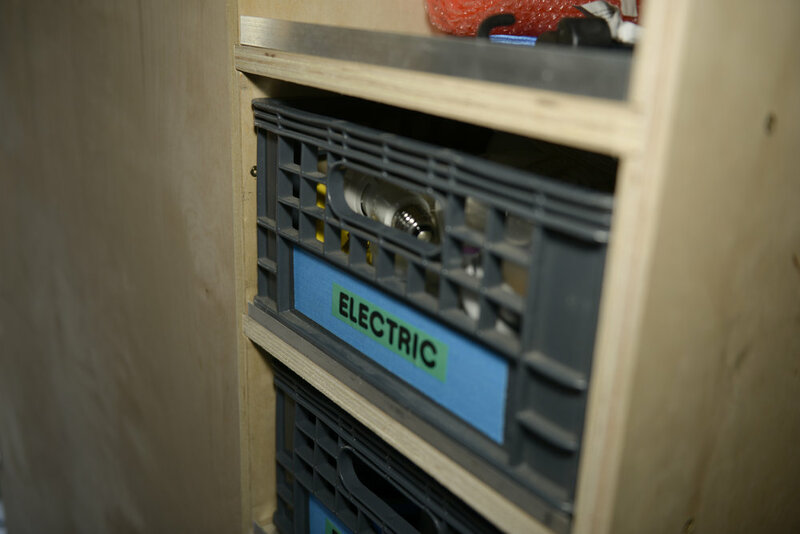 Compartmentalized shelves keeps all gear in it’s place with plenty of room for additional camera and lighting. Package includes all new dugganBOXes for complete light control. The dugganBOX system can control every light on your set, stage, venue... Control lighting from the palm of your hand. SECURE. Two way alarm and heavy duty locks… security for all gear enclosed.